Once the season is over, Island Yachts Broker is responsible for collecting your boat wherever you are to offer the necessary winter storage and custody services in ships. 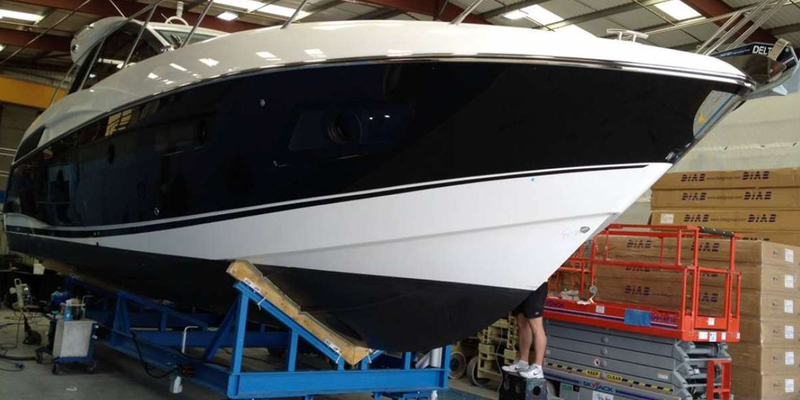 This service ensures the best condition of your boat for the next season. Performing a good winterization of your boat will not only allow you to maintain it in better conditions and avoid breakdowns, but it will lengthen your life and allow a better after-sale if necessary.. When the navigation season is over, as long as you do not plan to sail again, it is best to carry out a complete winterization of all the components of your boat, to prevent inactivity from damaging it to a greater or lesser extent, especially if keeps the boat in the water throughout the winter. For this, it is advisable to prepare a good work plan beforehand, preferably with deadlines, to avoid the time passing and ending, arriving again in the spring, with work undone. It is important to define, in the first place, the tasks to be carried out, classifying them by sectors such as, for example, electronics, mechanics, accessories and equipment, or indoor and indoor. On sunny days and preferably with some wind you should open all the hatches and clean all the interiors: ceilings, hatches and walls, paying special attention to the corners, where humidity facilitates the flowering of mold. There will also be a thorough cleaning of toilets, showers and kitchen, as well as scrubbing the floor to remove traces of grease or hair, which always end up clogging the bilge pumps. The covers of the interior mats will be thoroughly cleaned, since their correct cleaning and stowage will lengthen their useful life and make their use more pleasant. To do this, the interior foams should be allowed to dry directly in the sun for a few hours. It is very important to have, if you intend to make sporadic visits on board, with some type of dehumidifier. Both the electric and the dry ball type allow to reduce the humidity in the interiors, decreasing with it the smell and the feeling that upholstery, furniture ... stay wet. It is more than recommended that once a year, preferably at the time of making the winter storage at the end of the season, all the chests, cupboards and drawers are completely emptied and cleaned. In this way we can prevent the accumulation of moisture and odors, removing dirt and mold, as well as possible rust spots that may appear that, in addition, will allow us to determine their origin in case of any hidden damage. When the chests are clean and dry they can be refilled ... as little as possible if you do not plan to spend any other day on board. It is also advisable to keep the covers and doors open during the period of inactivity so that the air does not remain stagnant.. The perfect sealing of the hatches can be decisive for the safety of your boat, so you should check it, checking the good condition of the joints and anchors and taking advantage of the winter to replace them if necessary. If you plan to spend long periods without visiting your boat and can not control, as often as you would like, the possible water inlets, it is essential to previously check the perfect functioning of the bilge pumps, which of course must have automatic switches in perfect state, in addition to checking that the drain circuit is in good condition and the filters, if any, clean. On the other hand, it is also good to clean the bilge to eliminate odors and, once dry, leave the floor panels open, thus avoiding the accumulation of moisture. Although many times it is not noticed, the electronics on board can suffer sulfations in the connectors or cables that have been slightly nicked, that little by little can be attacked by humidity and rust, affecting their positioning. For this reason it is necessary to spend some time reviewing all the electronics, cleaning and drying the screens and repeaters and checking the condition of their wiring, as well as cleaning and protecting the connectors with a protective spray. Although it is basic, in the boats that equip internal motors, the camera must be cleaned, dried and ventilated with a certain frequency. And this is the perfect time to eliminate the points of rust that may have appeared and to repaint worn areas, in addition to cleaning the air filters and cooling water and check that there are no oil or water losses, in addition to the> strong> condition of the belts, for example, of the alternator. As for the outboards, we will open the casing and check the same points, letting air, before covering it, clean outwardly and preferably remove completely from the water. In the mechanical section, depending on the type of winter storage and the period of time that is going to stand, you must follow the instructions of the engine manufacturer for that task, or leave it directly in the hands of our professional mechanics to take care of it. In the case of having air conditioning, which is sometimes abused during the summer, it is advisable to perform a good maintenance, especially taking into account the long period of inactivity that often involves the winter. Reference marks in this type of facility, propose a specific process for each of its models but, in general, we can first think about closing the taps of the water in the cooling circuit, to avoid possible leaks, clean the grilles and, if possible, the aeration tubes, clean or change the filters if necessary, check the condition and grease the electrical connectors and check the operation and the loudness level of the compressor motor in case an adjustment is necessary. One of the most suffered points of your boat is, without doubt, the toilet, in which the toilet deserves special care at the end of the season. In addition to general care, at the time of review is always essential to take into consideration the recommendations of each manufacturer and model in particular. In conclusion, we have a team of professionals fully qualified to perform any of the wintering tasks discussed. If you want to winterize your boat in Menorca or the custody of boats in Menorca, at Island Yachts Broker we have the solution.